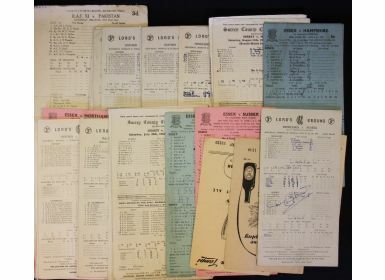 1950’s County Cricket Score Cards played at Lords, Kennington Oval, Sussex County Cricket Ground, Valentines Park, Rectory Field, Blackheath, Hawker’s Sports Ground, including matches M.C.C. v Pakistanis 1954, Eton v Harrow 1953, M.C.C. 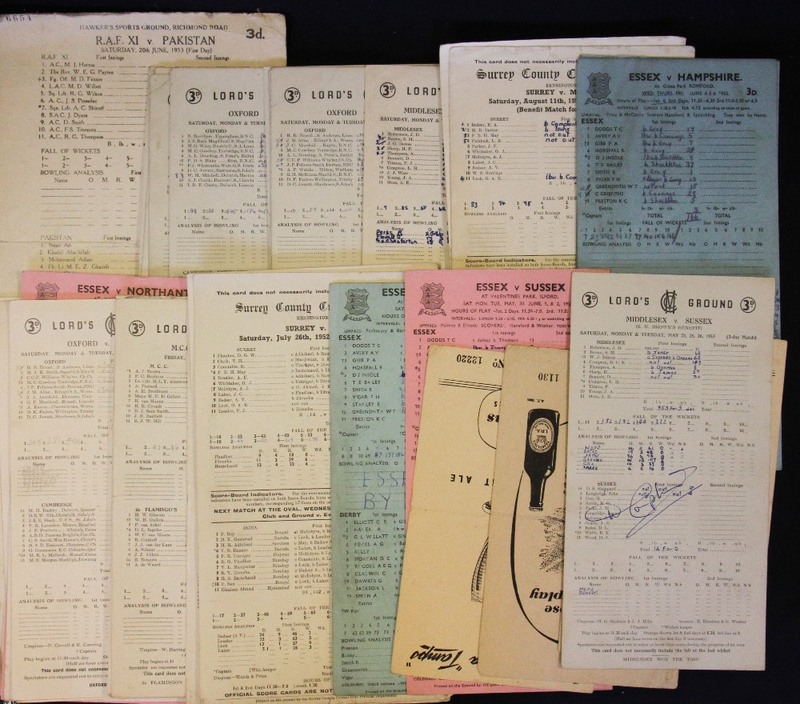 v de Flamingo’s 1953 at Lords, Surry v India 1952 at Kennington Oval, England XI v Commonwealth 1952 at Hawker’s Sport Ground and others, some signed including one signed Dennis Compton.